EEDS is taking our show on the road again. 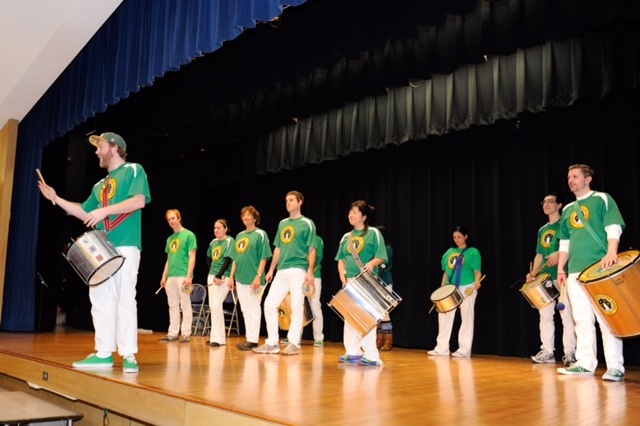 On March 1st we had a very fun and successful workshop and performance at the Romona International Festival at Romona Elementary School in Wilmette. I think we may have inspired some future sambista! If you want to see what we are all about, don’t forget to come to the main event, EEDS Carnaval. So many thanks to San Francisco percussionist extraordinaire Jimmy Biala for hosting a high-energy workshop at EEDS last week. 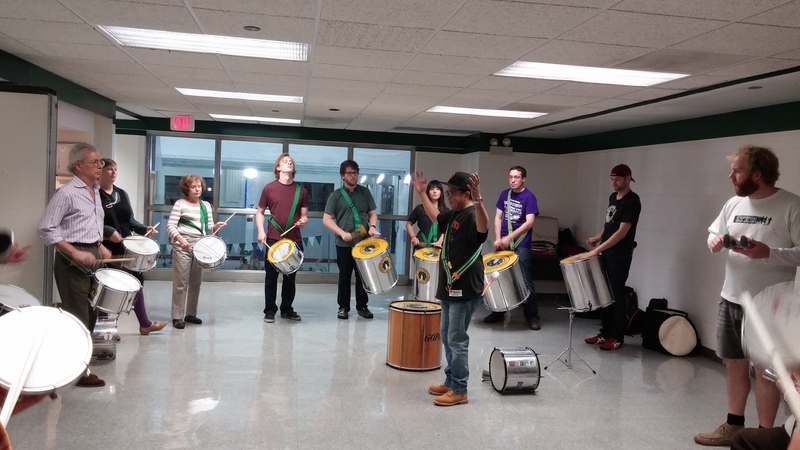 Jimmy spent some great time refining our playing techniques, and then taught us some sick new breaks to work into our batucada repertoire. 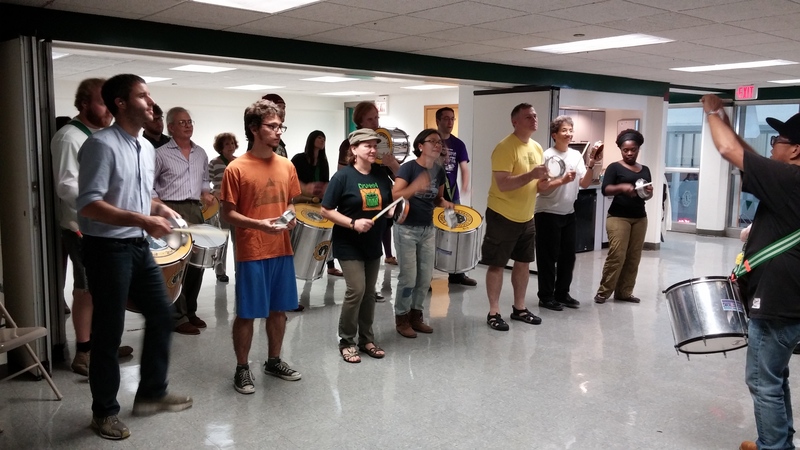 We will be integrating some of them into our 2015 Carnaval performance in March. Tamborim choreography, anyone? Thanks again to Jimmy for making the trip out – and check the EEDS Facebook Page tomorrow for a video of us in action during the workshop! 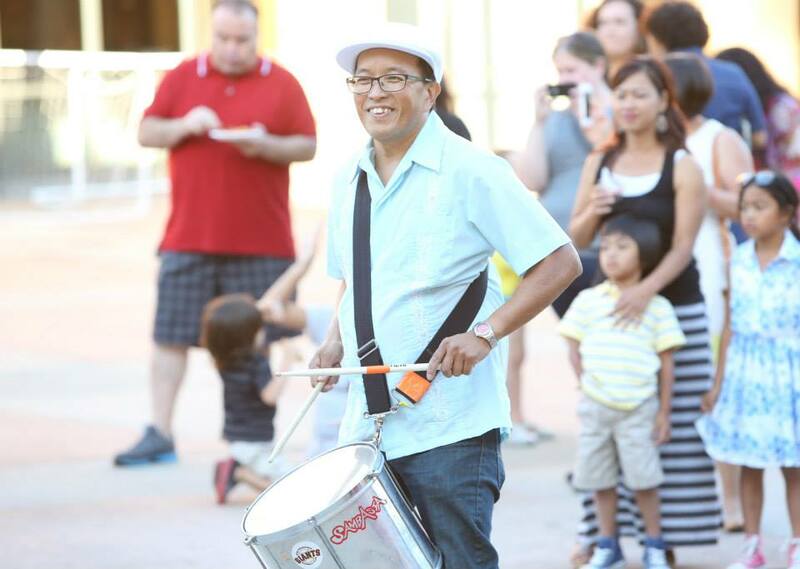 Jimmy Biala Percussion Workshop on Wednesday (10/1) and More! 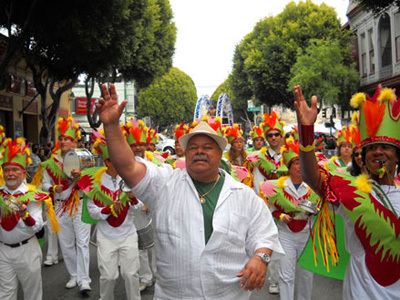 Join EEDS for a workshop with San Francisco percussionist extraordinaire Jimmy Biala. Jimmy joined us for our 4th of July parade and are happy to have him join us again. We are going to learn some new rhythms and will also be perfecting our bateria techniques. Instruments will be provided, but you’re welcome to bring your own as well. Invite your friends! You don’t have to be enrolled in the current EEDS class session to join the workshop. Regular class is cancelled for this week, but we will be having a make-up session at our normal time on Wednesday, 10/8. When: Wednesday, October 1st, 7-9pm, Please RSVP on our Facebook Event page!